The Theory that Toxins in our Society are Not Additive but Synergistic. This week, we re-examine mercury fillings (amalgams) in our mouth. Our foundation are 2 journal articles originating from Norway. Scandinavian countries have banned the placement of amalgams in mouth because of environmental reasons. There is also a drive to investigate if removal of amalgam fillings was associated with health changes in patients with SUBJECTIVE health complaints attributed to mercury. One sentence that struck us the most is the theory that the toxins in our society are not additive but synergistic. What this could mean is that different toxins accumulate and work together to bring about health problems in our body. 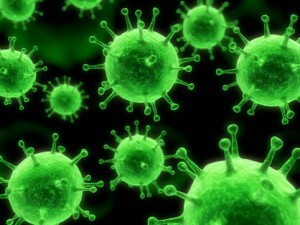 We must aim to not only eliminate one toxin alone, but rather, as many as we can from our daily habits. “Dental amalgam restorations, also called silver mercury fillings, were introduced to North America in the 1830s and have been the standard restorative filling for our molars and premolars. At that time there was a lot of controversy about its intraoral use. Silver mercury fillings began to take over the cast gold and gold foil restorations. These were excellent and lasted for years; however they were labour intensive and the cast gold required a lab process that centrifuged gold into a wax pattern to fit the tooth accurately. This was a two-appointment process with added expense. Gold foil restorations were often traumatic to the pulp of the tooth, creating necrosis and requiring root canal. The addition of amalgams as a restorative filling was a welcomed opportunity to offer at a substantial cost reduction as the mercury was triturated with a pellet containing silver, copper, tin, and zinc. This created a substance that could be placed into the cleaned out tooth structure where decay had been present. It was packed, condensed, and allowed to harden within a few minutes and then carved intraoral chairside. Today the extra, unused amalgam is placed in a container for safe disposal. This restoration is easily burnished to tooth structure to recreate the tooth to its original shape and size. The onset of amalgam allowed people to keep their teeth, rather than having them extracted if money did not allow for gold restorations. Keeping teeth enabled people to have better digestion and supported a more balanced quality of life. Today, with the increase of chemicals such as pesticides, preservatives, processed ingredients in food, and diverse contaminants in our environment; sensitivities, allergies, and other illnesses are increasing rapidly. The Brain Wash postulates that the toxins in our society are not additive but synergistic.